Have you ever had that experience when you got one of your monthly bills; water, electricity, etc. you open it, and the amount is way more than you expected? It’s shocking and a little discouraging! You wonder what in the world went wrong, and why is this basic necessity eating up so much of my paycheck, and is there anything I can do to lower this fee? Today, we are going to be looking at a few areas in your home that you can make more efficient, and this in turn can drastically lower your energy or other monthly bills. Many of us haven’t taken the time to really consider what is costing us so much on these bills, and a few quick fixes, or home modifications can make a big difference. This not only helps to protect your checkbook, but creating an energy efficient home also helps the environment, and your entire community as a whole. Let’s get going! Most of us use thousands of gallons of water every single month. Unfortunately, in a place like San Antonio water can become very rare. Sometimes we go months without significant rainfall to replenish our lakes, rivers, streams, and aquifers. Here are a few things you can do to make sure you are always using water in the most efficient way possible. This first one is rather obvious, but I think it’s definitely worth throwing out there. You should regularly check for leaks. This doesn’t just mean checking under your sink to make sure all the pipes and connectors are firmly together. A slow dripping leak from an inconspicuous location can get very expensive and waste tons of water. Only water your lawn when it needs to be watered, and during water efficient times of the day (or night). Even before water restrictions are passed be aware of when you are watering your lawn. Doing so in the middle of a hot Texas day isn’t the best idea. Early mornings or late nights are the best times and will facilitate the largest amount of water being absorbed by the ground before it gets evaporated. Also, if you have an automatic system make sure you check this frequently so the programming doesn’t get messed up and you end up watering way more frequently than you realized. Installing low flow showerheads is another easy way to decrease the amount of water you use when you shower. Make sure you only run your dishwasher when it’s full; and fill up your sinks to wash your dishes instead of letting the water just run. Some of these things may not seem like a big deal, but when you add their effects together it can be very dramatic. Turn off lights and other electric items when they aren’t in use. When you leave for work in the morning run around your house and make sure those lights and fans are all turned off. Use power strips and actually unplug items from the wall when they aren’t in use. Some televisions, computers, and other appliances continue to use small amounts of energy even when they are turned off. Unplugging them completely from the wall makes sure this isn’t happening. Update and maintain your appliances. Companies are constantly striving to make products that are more energy efficient. Updating, and at the very least maintaining your appliances ensures that they are running at the highest level of efficiency. In San Antonio a large cost of your energy bill is because of your air conditioner. Many of us are running these almost 24/7 in the hotter summer months. Doing things like putting curtains on your windows, installing more fans, adding insulation to your attic, and making sure there aren’t any gaps around your doors and windows can help you not run your AC quite as much and still keep you cool. Also remember to have your system serviced and maintained regularly. Change your air filters regularly; remember an ounce of prevention is worth a pound of cure. It wouldn’t be hard to write a book about being energy efficient, but if you at least do the things detailed above it will reduce your costs and most definitely save you money. 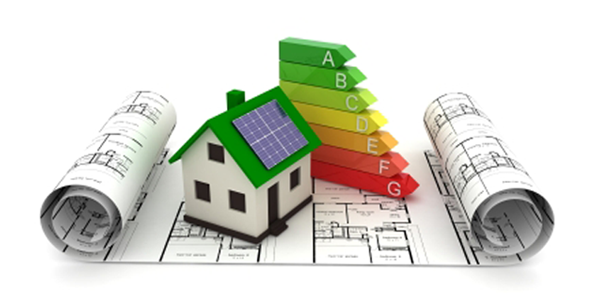 As you browse homes or rentals make sure you are considering what their energy costs will be, and whether you are comfortable with these charges. It’s something most people don’t think about, but considering these things now will make sure you aren’t surprised later on down the road.